In a hurry? 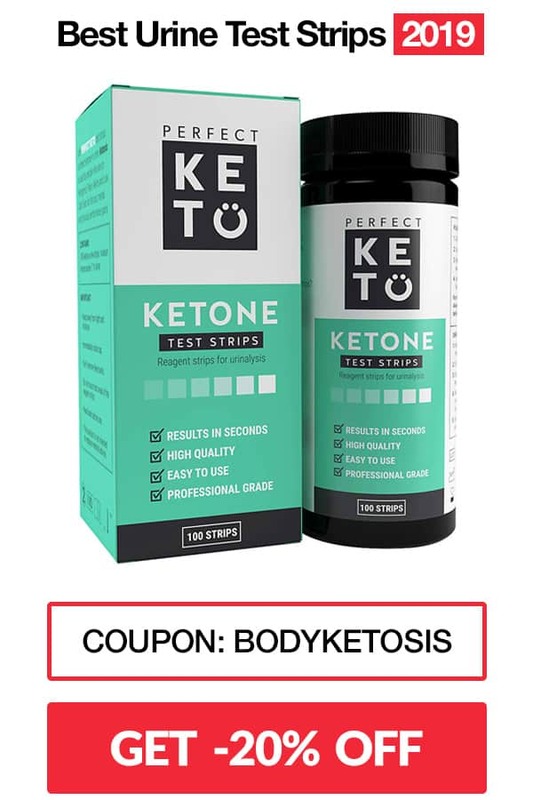 The best keto strips are Kiss My Keto Test Strips. Getting into ketosis can be hard and staying in there even harder. But how do you know that you truly are in ketosis? Probably the simplest solution is using urine strips. They are indeed a staple for the keto beginner. Believe it or not, not all the keto strips are created equal. 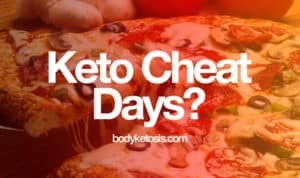 That’s why in this article I will show you which are worth trying out and will give you a couple of extra tips for measuring ketone levels. 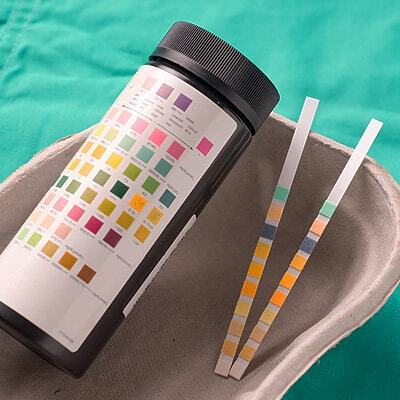 Urine sticks are and will always be the cheapest and easiest way to measure ketosis. Ultimately you know if you are in ketosis or not. That's it. For beginners, this should cover everything you need. They do have some drawbacks but more about that later in the article. Basically, you pee on them. Keto urine testing strips have an absorptive “pad” on the end of the strip. The pad contains a chemical reagent (most often nitroprusside) that changes its color depending on the concentration (if any) of ketones in urine. Now, there are some drawbacks to using keto test strips that you should know about. 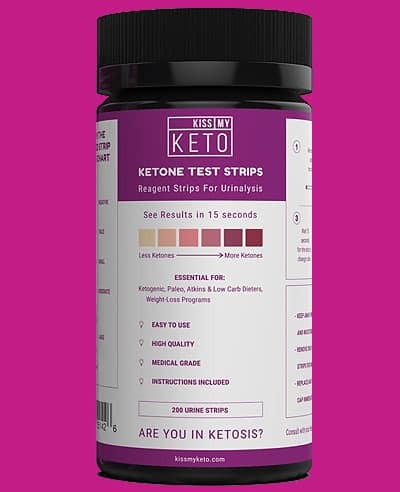 Keto strips are considered inaccurate because they measure excess ketones in the urine. The deeper into ketosis your body enters, the more excess calories will end up in the urine. 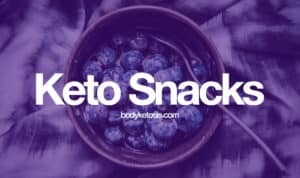 Once you are fat adapted (1-6 weeks of strict keto) your body will learn how to utilize all ketones and strips will become more or less useless. Basically use keto strips as a compass - to know if you are in ketosis or not, so you can adjust your diet accordingly. Once you are keto adapted, we suggest using a breathalyzer or blood ketone monitor. There are three types of ketones in your body: acetoacetate, acetone, and beta-hydroxybutyrate. Urine strips measure acetoacetate, breath ketone analyzers measure acetone, and blood ketone meters measure beta-hydroxybutyrate. BHB (beta-hydroxybutyrate) is a ketone body produced by the liver, from burning fat, and it’s used for energy when glucose isn’t available. For this reason, BHB is considered to be the more accurate measurement by far, and all clinical studies are done with blood testing. 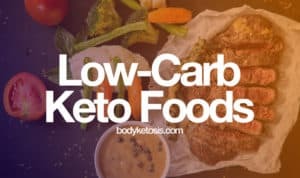 You have just started keto and are not sure whether this diet is for you, or you just want to know if you are already in ketosis or not. You are on a tight budget - don't get me wrong, organic and natural food is by no means cheap. There's no need to make your diet expensive. You are on the run and need to quickly verify if you are still in ketosis or not - for example when you are travelling. You don't care about the accuracy so much as the overall verification that you are on the right track with you dietary efforts. If you feel that keto strips don't paint the full picture for you, then you are in luck, as there are two way more accurate methods available. You want to get the most accurate results. It's considered to be the “gold standard” for measuring ketone levels. You are serious about going all-in with keto and getting the most helpful and correct feedback, according to you can makes changes. You want to also measure blood glucose levels in addition to ketones. This can show you how certain foods impact your blood glucose levels. You are okay getting your finger pricked every time you want to measure your ketone levels (you are not scared of blood). If you, however, hate getting your finger pricked every time or don't want to continiously spend on extra strips and lancets, then breathalyzer can be a good alternative. You feel like keto strips are not enough accurate for you. You either don't like your finger pricked, or you just don't want to pay for strips and lancets. You want to get the best money/value proposition when it comes to ketone measurements. You want a more convenient experience with the whole measuring part, which breathalyzer is known for. You have a budget - it's initially a little bit more expensive than getting a blood meter, but unlike the latter, it has zero ongoing costs, and you can use them as many times as you want. You see yourself doing the keto diet lifestyle in the long term - breathalyzers are cheaper in the long run. 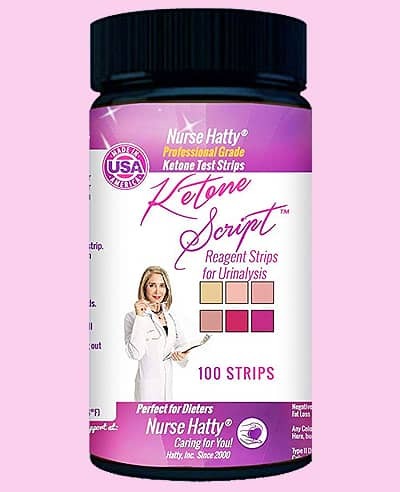 Although ketone urine strips are quite straightforward to use, we still cover the basics, so you can get most out of them. #1. Best time to test ketones in the urine? A study published by the Nutrition & Metabolism journal in 2016 found that the most reliable time to test urine ketones is either in the early morning or post-dinner. Pee in a small container (we recommend stocking up on some cheap paper cups). Dip the absorptive end of the strip in the urine for a few seconds, then remove it and shake off any excess drops of urine on it. Wait for 15 seconds or whatever time is stated on the brand of strips you are using. Compare the color of the strip with the color chart on the packaging. An accompanying keto strip color chart helps you determine your ketone levels. Dispose of the test strip and urine in an appropriate manner before washing your hands. The beige color on the far left, below ‘Negative’, means that there are no ketones present. Other than that one, any other color to the right indicates that there are some ketones in your urine. The closer the color is towards dark purple (the one on the farthest right), the more ketones there are in your urine. Now this may not work with every brand, but you can actually cut the urine strips in half lengthwise, and use half of the strip during measurement. Just make sure the scissors you use are clean, and you don’t touch the “testing area” with your fingers. If you are dehydrated, the urine ketone concentration will be way higher than normal, and it can give you a “false positive” result. But it goes both ways; if you are drinking a lot of fluids, it can also give you a “false negative”. A good rule of thumb here is to go by feel, drink water only when you feel thirsty. This is the biggest warning I can give you. Take proper care of your testing strips - store them properly. Make sure to store your test strips with the lid tightly closed in the package they came with. Exposure to air or moisture can greatly affect the strips’ ability to provide accurate results. On average, unopened strips have 1-2 year shelf life and opened 3-6 month shelf life (depending on brand). 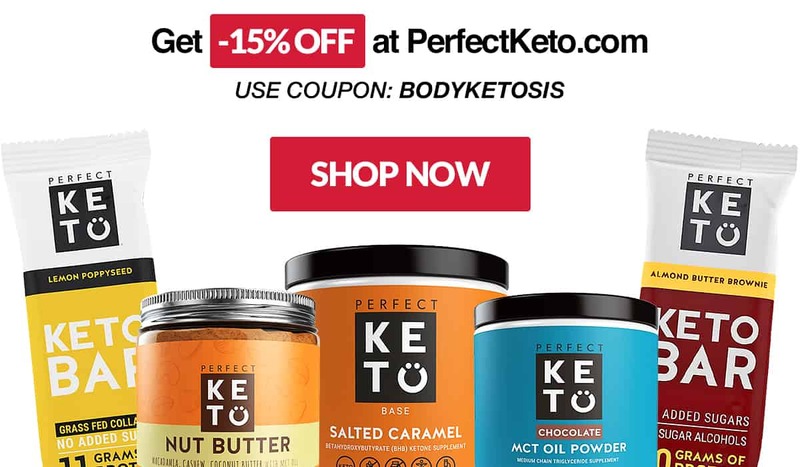 Perfect Keto is no doubt the leader when it comes to quality keto gear and supplemens. 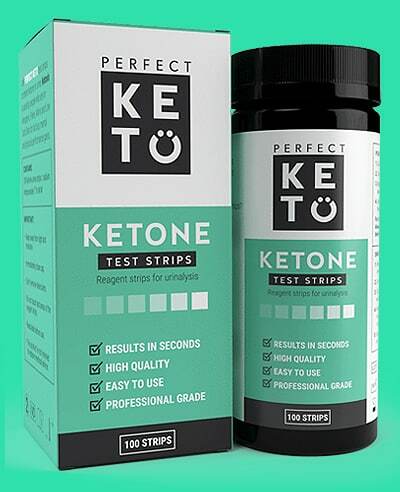 Perfect Strips are lab grade doctor developed keto strips. It takes around 40 seconds to measure your ketosis levels and it doesn't take too much urine to show the results. The Smackfat company was established by Kaba, who defeated his obesity by losing 38.5kg (85 lbs) on Keto in only 4 months time. Test strips are easy to use. Sensitivity is positioned for ketogenic benefits. Smackfat also provides video demonstration as well as informative education geared towards ketone strips use and the ketosis diet. Results appear 40 seconds after using the strip. The HealthyWiser UriTest strips are both CE (EU certification marking), and FDA approved for safety and accuracy. UriTest strips are unique (compared to other strips) in the way that it allows you to check 10 different parameters from urine. For example glucose, protein pH, leukocytes, nitrites, ketones, bilirubin, blood, urobilinogen & specific gravity. Ketone readings appear 40 seconds after using the strip. Kiss My Keto is another keto specialized company - created by Alex and Michael, who got tired false promises and low-quality keto products on the market. 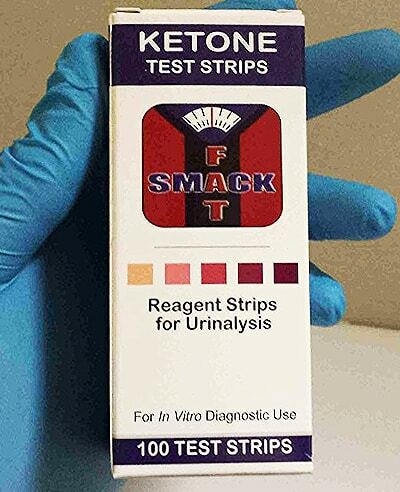 These ketone urinalysis strips are professional medical grade and are humidity resistant with a long shelf life. Kiss My Keto Strips are extremely accurate in matching package colors to strip colors (common issue with strips). And the results appear extremely fast, in 15 seconds. Nurse Hatty brand is created by a real nurse, hence the name. So she has first hand experience in the medical field. Ketone Strips are probably one of the oldest brands on the market. It's 100% made in USA and also professional grade strips. Test results appear after 40 seconds.